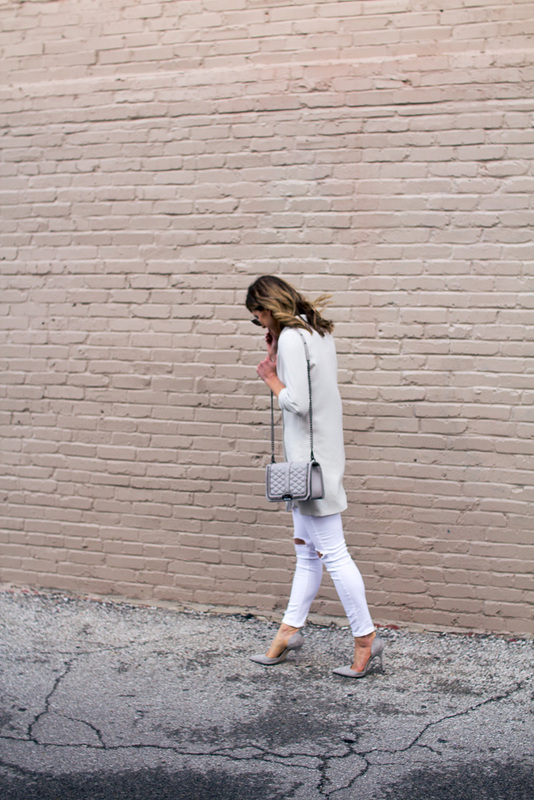 One of my favorite trends for this spring is neutrals. While spring pastels are fun, you sometimes can’t beat cool and relaxed neutrals. Neutral tones are classic which is one of the reasons I fell in love with this white slouchy blazer the instant I put it on. You can wear it over skinny jeans, as a dress or even wear it open over a slip dress. So many ways – which is one of the classic principles of neutrals, being able to pair with almost anything. Another must-have for spring is a great fitting pair of skinny white jeans. White jeans are a staple for any girls closet. This white Topshop pair fits so well and I love the high-waist. Nordstrom is one of my main destination for spring styles. My shopping cart always has something in it – tell me yours does too!! Another few favorites that are in my shopping cart you can find below. Looking cool! Perfect outfit for the spring. I love to wear white but I always confused with what to wear with white. This is the perfect style for spring.